We use a Cookswell 4-rack business charcoal oven for our baking here at Amari, it’s economical and saves energy. However, just like any equipment out there – not all brands are created equal. 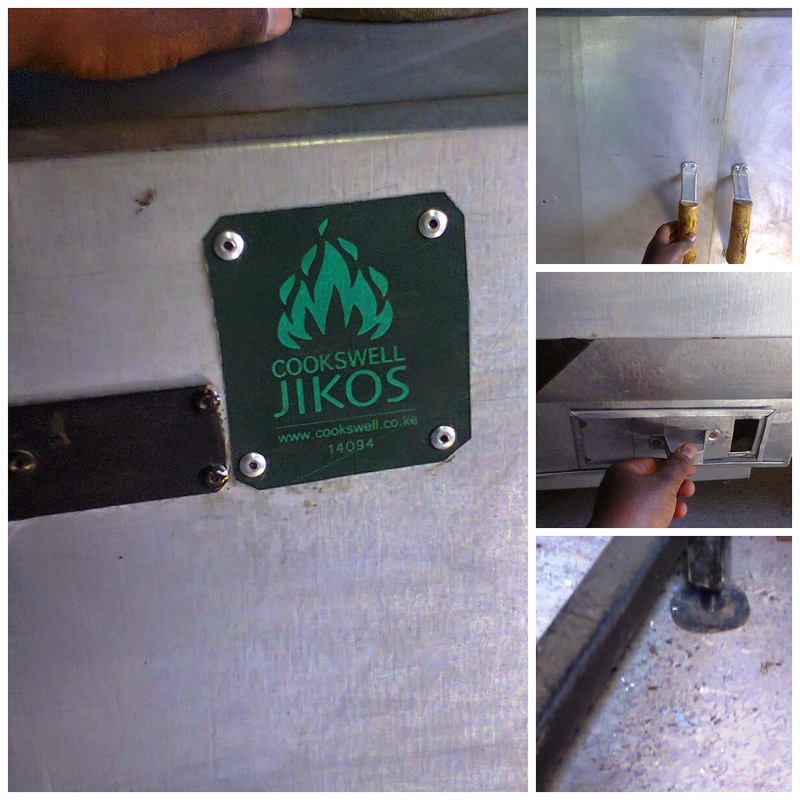 In the beginning we were using a charcoal oven that was fabricated by a jua kali artisan based in Kitengela. We then switched to a Cookswell Business-size Charcoal oven and there was such a noticeable difference. 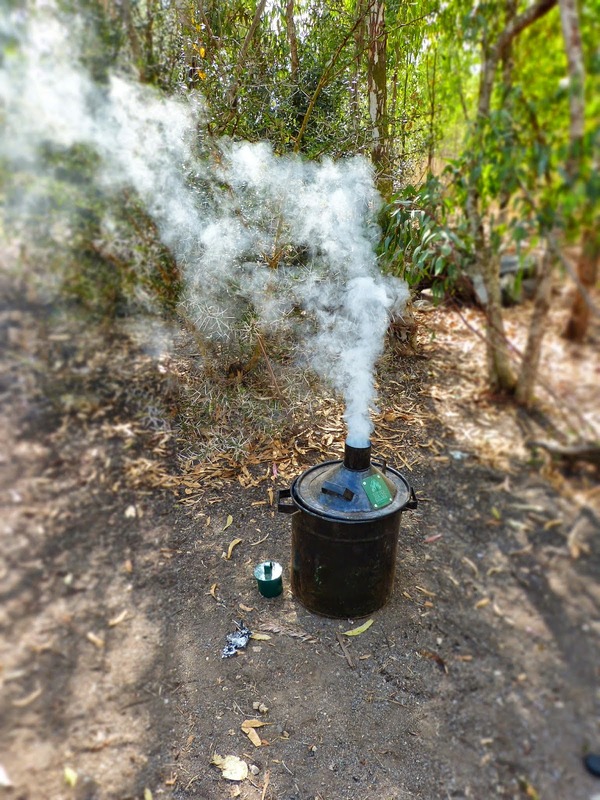 I’ve decided to share the reasons why you as a baker should choose a Cookswell charcoal oven, other than just any other locally made charcoal oven in Kenya because there is such a major difference – I had to share it. The phrase “cheap is expensive” is very true, especially of the charcoal ovens, read below to understand more. Cookswell charcoal ovens are fabricated with the best quality materials by very well trained artisans. A Cookswell oven is a well-designed oven; when you light the oven; heat spreads evenly and you are able to bake in any position you place your product (trust me – I spent two days testing this theory ^_^). I noted the difference because with other ovens; the oven has many cold spots – especially in the back of the oven and the top and bottom racks. Another thing I noticed with our old oven was some material that had been put between the metal sheets that made the door (not sure what they put in there); however, the grainy substance slowly moved to the bottom of the oven door with time. That meant that when you closed the oven door, due to the bulkiness at the bottom of the door, the oven could not close completely. This meant that we were losing heat in the oven as we baked – which means more charcoal added every 20 minutes. When using a Cookswell; you light the oven and bake with it for at least 40 minutes, before you have to add charcoal. It maintains the temperature for those first 40 minutes (tried and tested – over five times) and you only add a small amount of charcoal to finish the baking. 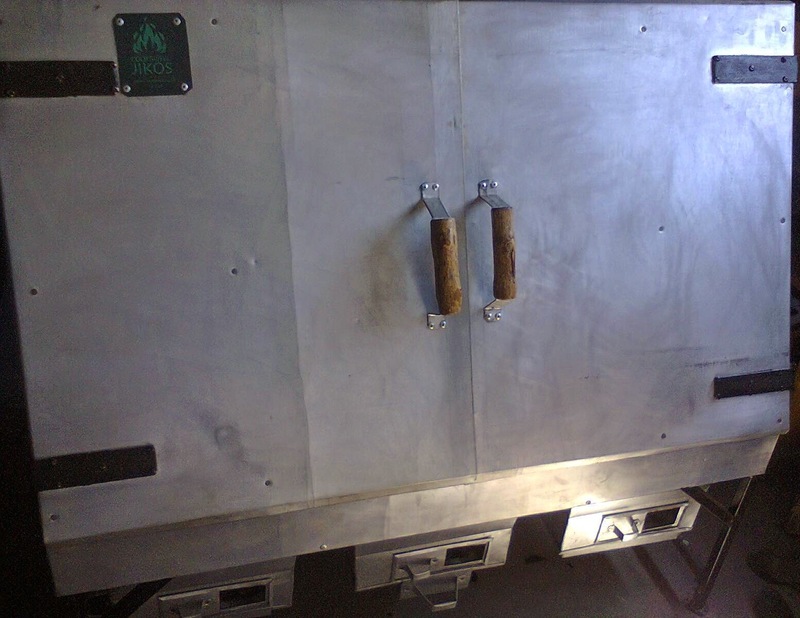 Due to the fact that a Cookswell oven is fabricated well, it saves energy. Heat does not leak out of the oven and that is how it manages to maintain temperature for a long period of time; and you only add a small amount of charcoal afterwards to keep it going. We have noticed that our charcoal expense has reduced to almost half from when we were using the other charcoal oven. Using less charcoal is great for a small bakery business, since the expense is reduced. It’s also good for the environment because you use less charcoal. Now it may seem a bit odd for me to say environmentally friendly; however, the brand – Cookswell, is quite environmentally conscious. They are aware that using their ovens means using charcoal which is contributing to the decreasing forestation in the country. They however have a great way of solving that problem; they sell kilns that make charcoal. They actually offer training sessions for those who want to purchase a kiln and learn how to make charcoal using tree branches (a much better way instead of cutting down the whole tree), they also show you other materials you can use to make charcoal; such as coconut husks and maize cobs. It’s a very responsible way of dealing with the environment and selling high quality energy-saving equipment as well. When you purchase a Cookswell charcoal oven, you will notice very cool features that others don’t have. There is a grease tray that is removable for easy cleaning. You may wonder why you need that, well; the charcoal oven is a multipurpose piece of equipment since you can use it to bake or roast meat (sausages, beef, pork, chicken, etc), sweet potatoes, arrow roots and you can even warm your food – especially if you are on safari. If you are roasting meat and any juices or grease pours at the bottom of the oven, it’s great to have a removable grease tray that makes clean-up very easy. Another feature that I noticed, especially useful in our 4 rack business-size Charcoal oven; are the adjustable back legs. 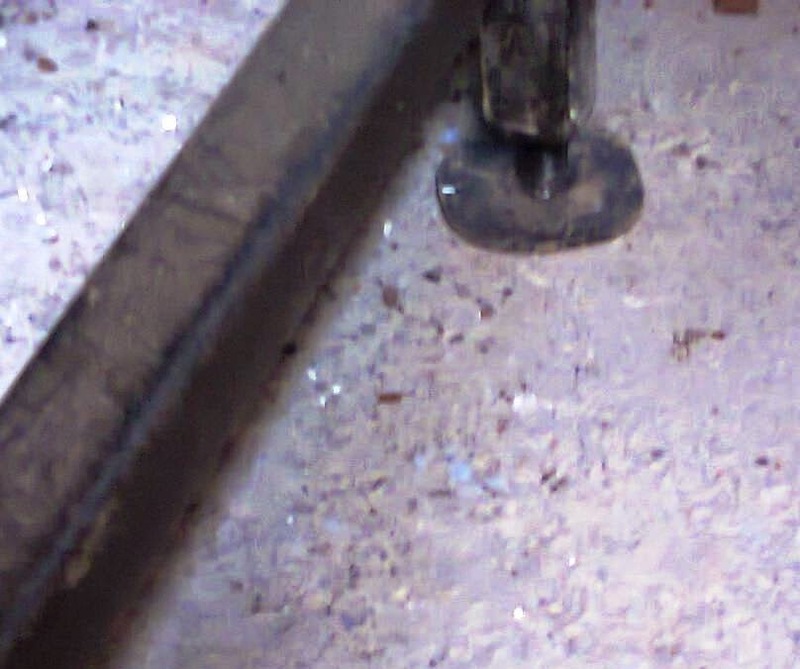 If you do not have quite a level, flat floor; you can adjust the back legs until the oven is level. 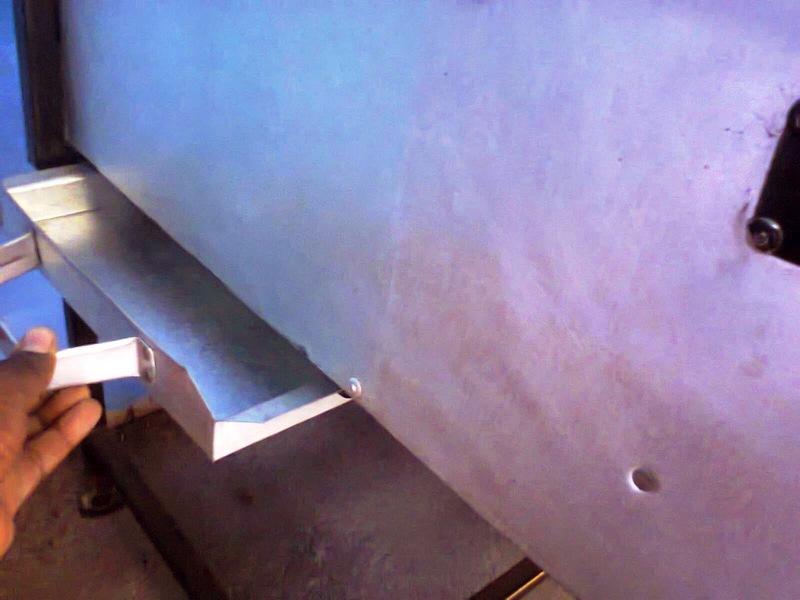 The oven doors are a great guide on the adjusting of the legs since; when the back legs are level, the oven doors close perfectly with no resistance. My personal favorite feature of the Cookswell is the wooden handles. 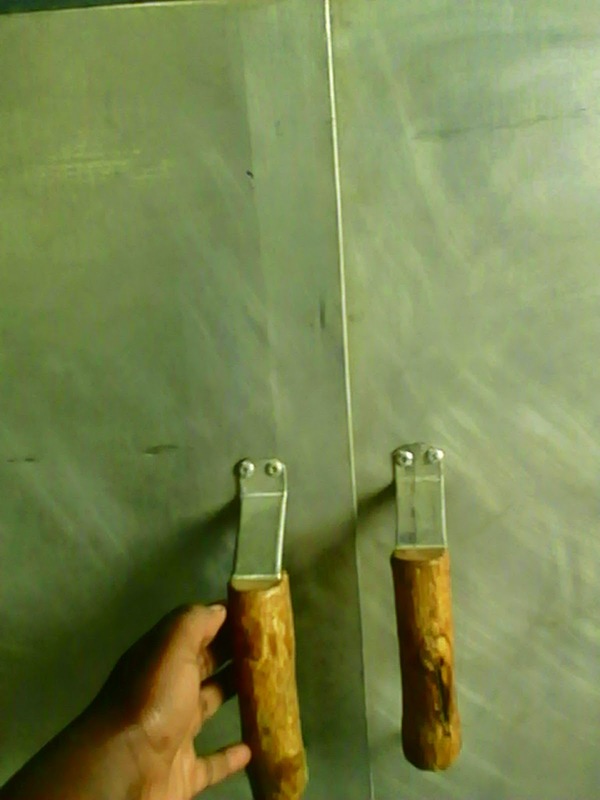 When the other oven we used to use was on, the handles would get very hot; especially the left handle since the right door wouldn’t close very well so heat would leak and get the handle very hot. We had to use oven mitts to open the oven doors most of the times since it would get very hot (I have scars to prove how hot it got). The wooden Cookswell oven handles are amazing to me since you don’t need to use oven mitts to open the oven and check the progress of your baking. They are also a very authentic and original feature of the Cookswell brand. 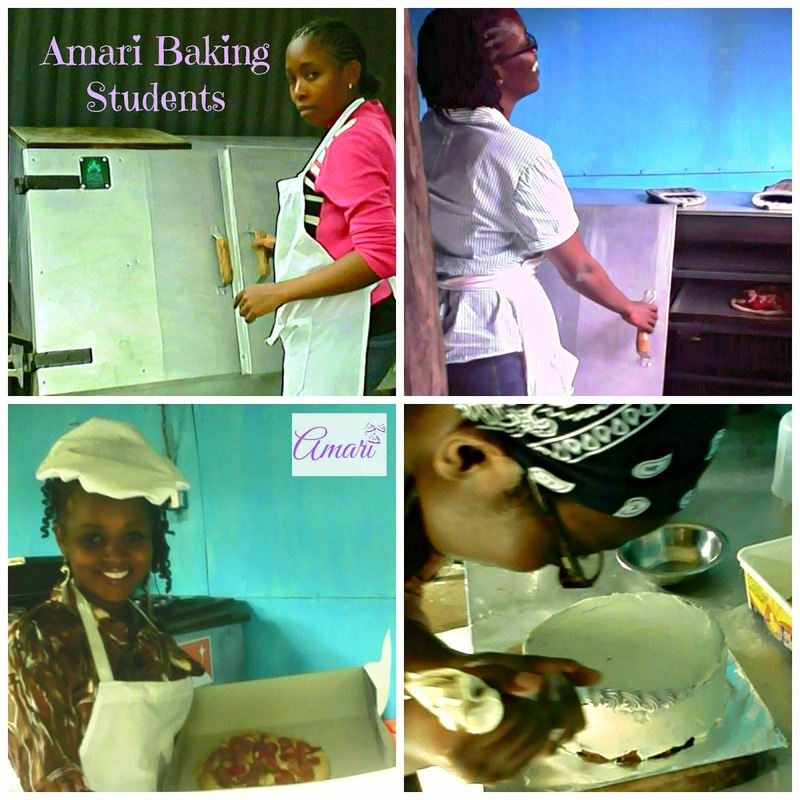 We are currently offering different baking class packages and we teach people how to bake with a charcoal oven. We are using a Cookswell charcoal oven to bake our products and also to teach our students. That means if you purchase a Cookswell oven, we are the perfect people to learn with ^_^. I have personally been baking with a charcoal oven for seven years and I can testify to the fact that it bakes the same way as any gas or electric oven does – the result is the same. You just have to know how to use the charcoal oven. A charcoal oven is especially beneficially for a small bakery business since it saves a lot on utility expenses, which is important for any start-up business. I have also worked in large bakeries that use electricity and have seen the large bills a bakery can rack up whether or not you have a large amount of sales in your products. Make sure you join our baking classes and start learning with us – promise, its lots of fun! We have recently partnered with the amazing Cookswell company to help out anyone who wants to start a small bakery business. We know it’s very expensive to start a small bakery business and a lot of individuals may not even have information on how to get started, set-up and get your business running (First make sure you buy our book on starting up a Bakery – click here). For the package we are offering; it’s a Bakery Business Start-Up Training in which you purchase your choice of three business-size Cookswell charcoal ovens at a discount rate – Kshs 1,000 off on each oven (and they throw in a fire-starter for free ^_^). 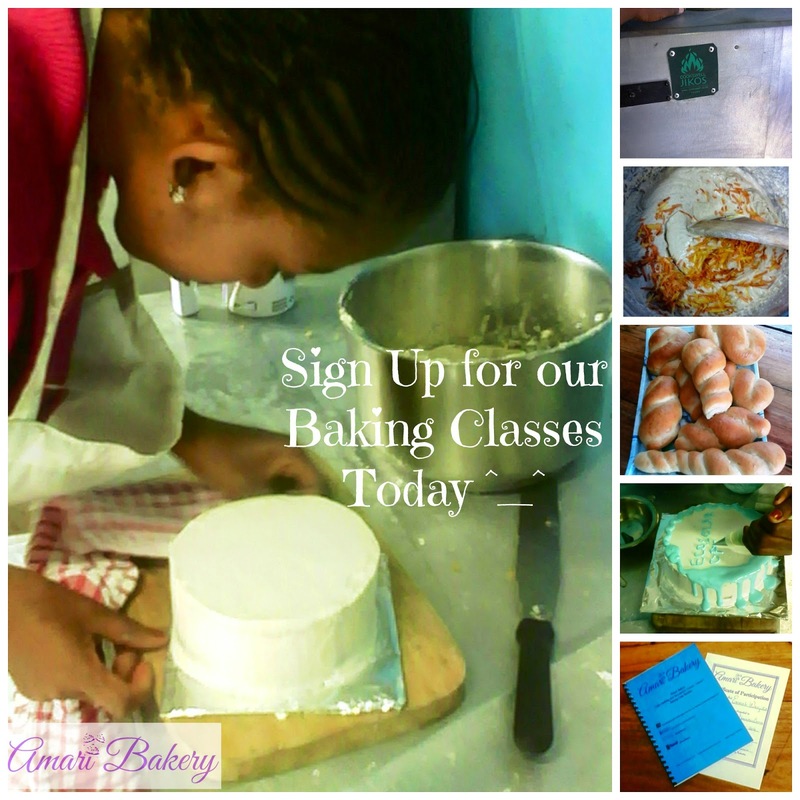 You then join any of our Baking Courses to learn how to bake and set up your small bakery business. We will offer a discount of Kshs. 1,000 off any baking course you choose. Bakery Business 1-day Training is also included in the baking class you choose (cost of the business training applies – Kshs. 1,500). After the completion of the baking course you choose; you get a business start-up kit that includes: 2 prs of chef hats & aprons, 1 pair of oven mitts, a standard set of measuring cups and spoons, a liter cup, a whisk, a wooden spatula, 1 pkt of packaging papers, basic business accounting, record-keeping, marketing and set-up advice and a recipe booklet for all products the student learns in the class. For anyone starting a small business in Kenya, that is a great deal I’m sure you all agree with me ^_^. If you fall in that category, please contact us for more details and get started on building your small bakery business and with the training we provide – you’ll have an advantage over any other small business start-up out there since you will be equipped with the skills and knowledge necessary to keep your business surviving and in time successful. Please make sure to mention that you want the Cookswell-Amari Business package deal when you want to book the class please. I bet right now you are wondering how to get your hands on a Cookswell charcoal oven; head over to their website and check out the products they offer (they also sell jikos, space heaters, very cool animal shaped barbeques, etc). You can also go to their blog to see the kinds of products you can bake, roast or cook on their energy-saving jikos (I guarantee you will be very hungry after visiting their blog ^_^). For information on our Baking Classes follow this link. You can also text/call: 0701796688 or email: amaribreads@gmail.com to contact us. Learn How to Bake and Start Up Your Small Baking Business in Kenya – Get a Cookswell Oven at a discount too!